But let’s start with those figs, three different varieties of which live with their roots right in the ground in the greenhouse. Green Ischia has been bearing large, copper-colored, firm, sweet fruits for weeks and weeks. No problem here. About 8 feet from the Brown Turkey tree grows another fig tree, Kadota, with fruits lined up along its stems also. From past experience, I expected problems with Kadota. It’s a delectable and heavy yielder that thrives in hot, dry climates. The greenhouse is hot but hardly dry. With the high humidity in there, almost every Kadota fig has turned to a fuzzy, white ball just before ripening. 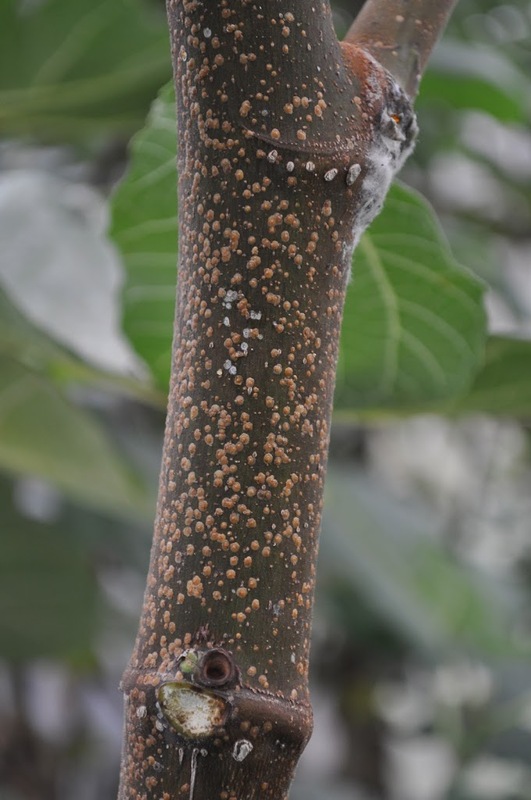 One other possibility for reining in scale insects is to spray “summer oil” in spring after the plants have leafed out and greenhouse beds are clear of lettuce, kale, and other vegetables. Summer oil is highly refined so as not to damage plants while it’s smothering the scale insects. 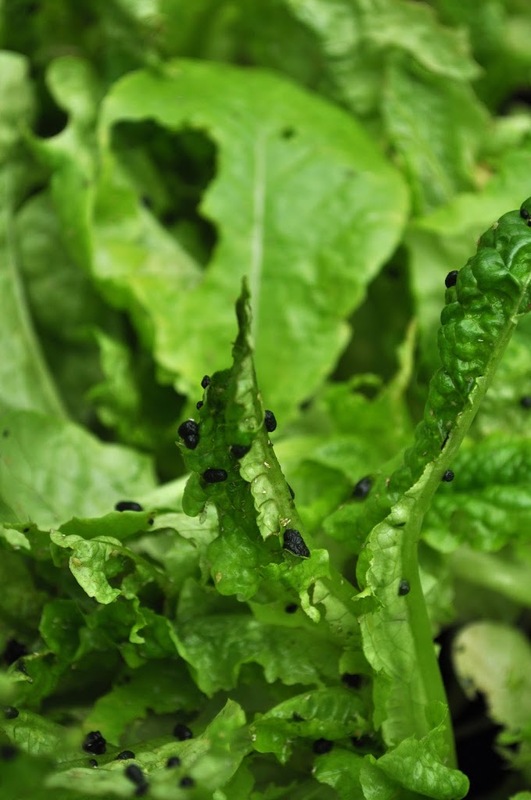 The natural insecticide, Bt (sold under such trade names as Dipel and Thuricide), that I mentioned last week is very effective against the cabbageworms and loopers, as well as young armyworms. Larger armyworms are finished or just about finished feeding anyway. 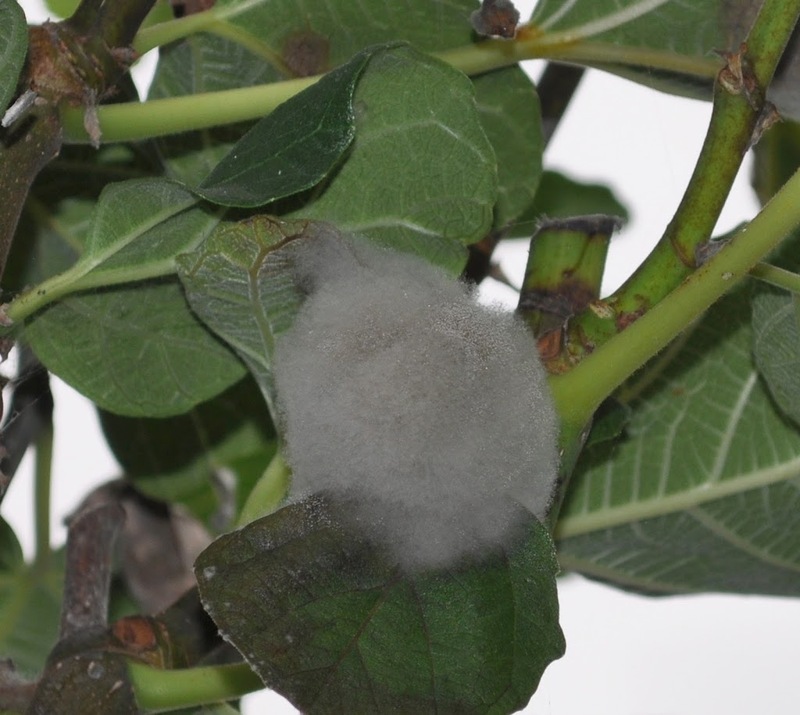 This entry was posted in Uncategorized and tagged armyworm, botrytis, fig, greenhouse, lettuce, scale. Bookmark the permalink. Trackbacks are closed, but you can post a comment.